The wind is howling this morning. We are going to have a swift sail South to Jolly Harbor. 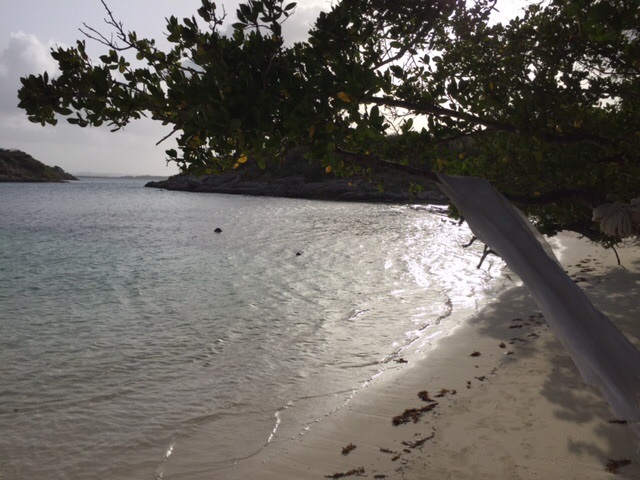 We are anchored at Great Bird Island, an isolated spot in northern Antigua. We visited the island yesterday by dinghy. It was not without drama. We were using oars, no motor. Why? It’s part of the RYA Competent Canoe curriculum. As we paddled towards the Atlantic the current was strong. 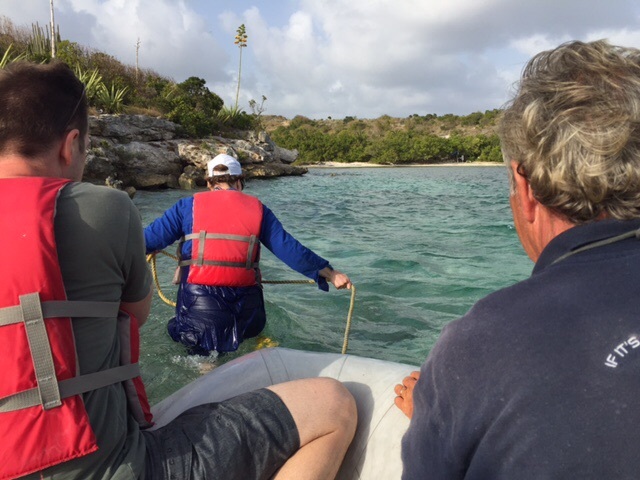 As we neared the shallows, one of our crew (Julia) jumped in the water to guide us away from the rocks. Somehow when she re-entered the dinghy the dinghy drain was kicked and we started to let on water. A lot of water. Fighting with the drain and another hole somewhere we started to bail out the dinghy. We used shoes, a snorkel mask and two water bottles. My water bottle was a lame bailer because it had a narrow mouth opening. 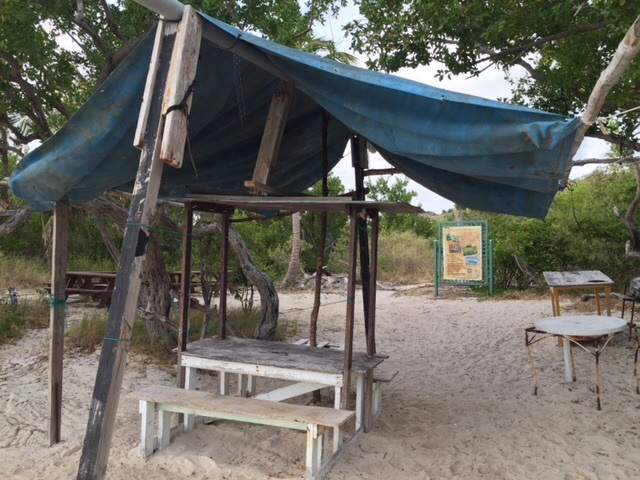 Quickly, we made it ashore to the most wonderful, Robinson Crusoe-style beach you could imagine. Great Bird Island is a protected area. It is 20 acres. We hiked to the highest point of the island and were amongst sea birds, geckos and interesting flowers. 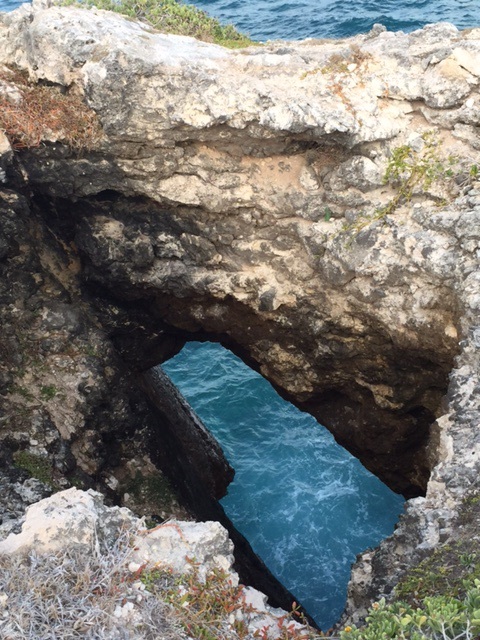 There was a cave which led down to the ocean. When the waves are rough the water spills through the cave opening and up to the top of Great Bird Island. 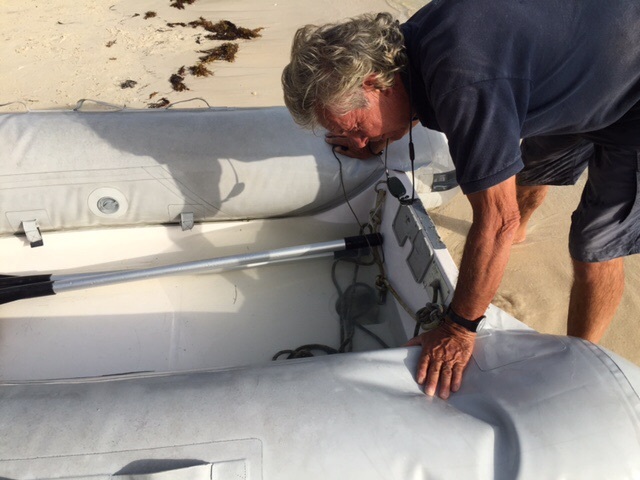 We paddled back to SV Miramar – a Bermudian sloop – as the sun was setting.